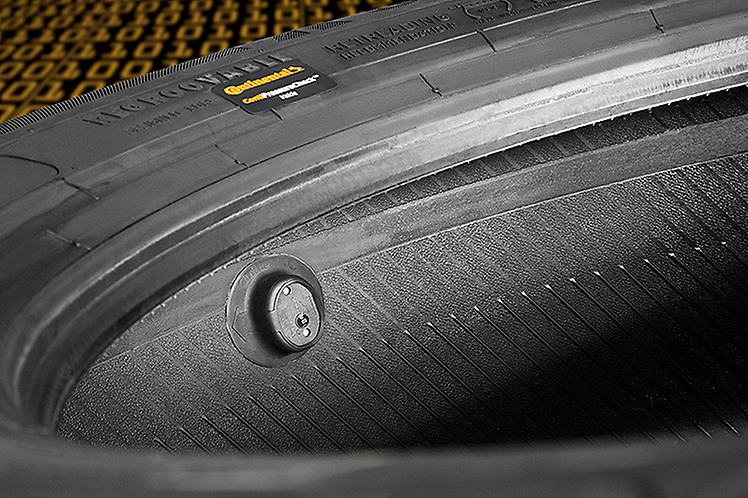 Continental had pioneered the use of the tire pressure monitoring system in 2013. Now, the company has pioneered an even more useful innovation, tires that have pre-installed sensors for checking the internal pressure and temperature. The German tire manufacturer recently launched its iTire range for commercial vehicles which will help fleet managers to save a significant amount of time as they no longer need to worry about the cost and time involved in installation of TPMS systems. They also need not worry about correct installation as the sensors will be installed and positioned correctly within the tires. As of now, the tires are available in 22 major sizes, especially for the ContiEcoPlus and Conti Hybrid range. In the event that the values deviate from the target value, the driver get an immediate alert and preemptive action can be taken immediately to restore values to their normal values. The preinstalled sensors will allow drivers and fleet operators to continuously view data related to temperature and pressure on a screen as the ContiPressureCheck system is compatible with a wide range of telematics systems. Thus the data is immediately transmitted to screens and external devices in real time for better tire management. Use of the iTires can play an important role in enhancing fuel efficiency, decreasing tire wear and increasing mileage. These factors will, in the long contribute to operational efficiency and reduce costs. Use of ContipressureCheck can moreover help reduce CO2 emissions and thus contribute to sustainability. The ContiPressureCheck sensors can also be purchased separately and retrofitted in tires by customers.